Many churches that don’t identify as Seeker Sensitive are actually employing Seeker strategies that threaten revival. You can read the first article where I dealt with five clear threats to revival that are propagated through seeker sensitive church growth strategies on the Charisma News site HERE. Seeker Sensitive methodologies have done more damage to the mission of revival and the advance of the Church than many realize. The very purpose of the church and the experience in the church meeting have become confused, so much so that most would consider today’s typical Spirit-filled service to be biblically normal, though some have “Ichabod” etched above their doorposts. We have so neutered the supernatural influence that mostly natural religious expressions with a few raised hands and occasional shouts of “Hallelujah!” give it just enough spiritual unction to pass muster. The glory has departed and few have noticed—or cared. The church must shift from being naturally familiar to being supernaturally shocking! The tremble must return to the church as Believers are functioning in raw, Holy Spirit power that can only be found in a lifestyle of zealous intercession. We soon won’t be able to define going to church the way we do now. God is coming to reform, to crush structures of old for what is to be introduced very soon. Our call isn’t to stand strong until the shift comes, it’s to prophetically sound the alarm and awaken those at risk! God is coming! America doesn’t need another bed-and-breakfast church that comforts our flesh (our natural desires). 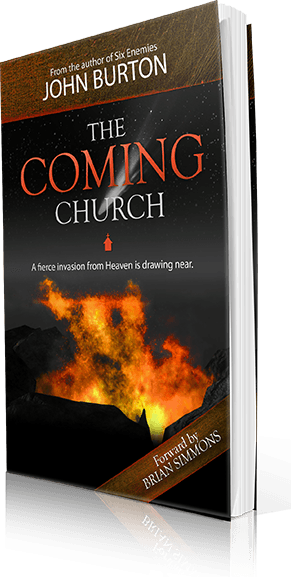 Our nation needs a Church with a volatile atmosphere that explodes, burns human flesh and shocks our culture. To the dismay of those who simply want to hear a little worship and listen to good (and short) teaching, services will become more like prayer meetings. This is one of the most critical and most upsetting shifts that will come–and it must come now. Today, most of the energy church leadership teams expend is usually on attracting and keeping visitors instead of training and engaging intercessors. One of the greatest indictments on the Church today is that prayer is not the driving force. Today, people tend to choose churches based on the appeal of the teaching and the worship instead of the fervency of prayer. If the Church was a house of teaching, or a house of worship, that would make sense—but it’s not. Scripture reveals that the Church is a House of Prayer for all nations (Mark 11:17) Every person in the Church will function as a burning intercessor, and the services will be marked by this unified groan of fiery prayer. It simply does not make sense that people gather together as Christians without prayer being their primary activity! Christians who aren’t invested in fervent, supernatural prayer will be enticed by the natural familiarity of Ichabod churches (where the glory has departed). First, I’m quick to admit that I, like many others, do not like poorly formatted church services that are too long for all the wrong reasons. Do away with Sister Martha’s five minute announcement on the upcoming social and a special song by Brother Larry that unnecessarily fills space. Let’s do away with announcements and other time wasters and dive into what is more pressing. That being said, we have to stop the trend of churches giving into the demands of the culture. It’s laughable to think the church can impact the world if the soldiers are only together two hours a week (or less than an hour in some churches). What happened to being in church every time the doors are open? I suppose this still happens since the church doors are only open from 10am-noon on Sunday mornings. The house of prayer is eerily empty, dark and closed most hours of the week. It’s time to call the warriors together for fervent intercession and apostolic instruction and expect the Spirit of God to shock and rock the service! Even some of the most revival focused, Holy Spirit friendly churches out there have limited services and have created a predictable, repeatable, user-friendly order of service that ensures very little spontaneous would ever happen. Stop and think of the various elements that happen in every single church service, at exactly the same point every single time. People are typically creatures of habit and it’s proven that growing churches are structured, shorter and mostly predictable. This is a tried and true Seeker strategy. It makes it comfortable for the seeker while it creates a foreign environment for the Holy Spirit. God must not only be given room to move in unusual and unique ways, but the service must be formatted in such a way that such Holy Spirit activity is nurtured and facilitated. I’d rather wait on my knees in silence for an hour waiting for God to move than to go through the order of service as if God has chosen another church to visit that day. The Upper Room had one program, one expectation, one mandate. Pray. Hundreds of invited people chose not to attend, and that was okay. Sad. Unbelievable. But, okay. The mission was more important and it would not be compromised to attract a few hundred more distracted seekers. Many of today’s pastors are so eager to keep every visitor and make every participant feel connected and satisfied that a massive and every growing menu of programs, small groups and activities is carefully created. The reasoning behind this is to ensure everyone has a place. This feels right. It seems to be a great way to welcome and include as many people as possible. However, if we look at what is really being done it will infuriate you. It does me. There is a place for everyone in the church, in the house of prayer, in that Upper Room. The place is the prayer room! When we create programs and activities in an effort to keep people in our church it’s evidence that we have not successfully developed the culture of prayer that the church demands. 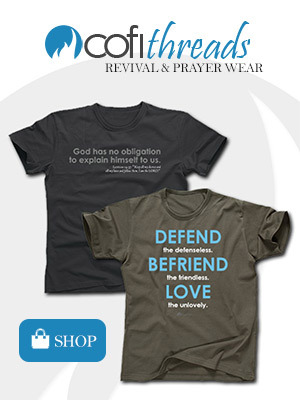 We end up empowering people in their resistance to a lifestyle of intercession. If the prayer room isn’t magnetic enough, those you are attempting to attract just have to be allowed to move on. This is why I’m a firm believer that the prayer meeting must take place on Sunday mornings. It’s the main thing, the program for all, the activity that entire families give themselves to night and day. Even the most revival-centric churches fall into the trap of enticing people to stay via means other than the call to prayer. In fact, the call isn’t only to pray, but to pray in the Spirit! We need people praying in tongues, groaning in the Spirit, crying out to God night and day. This is the program that must be developed, and until all are involved other efforts should be tabled. This point could easily demand an entire article, or even an entire book to deal with effectively. Suffice it to say the American church has failed miserably by presenting a casual, easy, costless salvation that is sealed by repeating a sinner’s prayer. This is an offense to the cross of Christ! When I minister I always invite people to salvation by saying, “Every eye open and everybody looking around.” It’s common today to give people a private moment to ask Jesus into their heart by saying, “Every eye closed and nobody looking around…” I understand what they are trying to do. I understand how intimidating it can be to raise a hand and come to an altar, however if we are training people that salvation can occur without powering through the fear we are providing a lot of them with a false security. We cannot be ashamed of Jesus! We must call people to radical surrender! The cost is high. The surrender must be complete. There are many people following Jesus in an unsaved condition because they have not been presented with the true Gospel. They have not been confronted with their depravity. They are filled with messages of how much God likes them without highlighting the reason they are separated from him. True salvation results in a fervent, committed person who will burn hot, serve with passion and rend their hearts continually. The horrific confusion regarding the issue of salvation in the Western Church is the key reason why I am so intense. I am intentionally extremely off balance as a heavy counterweight due to current off-balance theologies. People are going to Hell. They think they are saved. Just so you know how I see things, due to this encounter that I had 22 years ago (of being dragged toward Hell and hearing God tell me that many Christians will be shocked to find themselves in Hell one day): when I’m in a vibrant, Spirit-filled church of, lets say, one thousand people—people who are lifting their hands, worshiping Jesus and paying their tithes—I see maybe 100 of them, on average, ending up in Heaven. That’s not a judgmental statement, as I have no way of truly judging that on a person-by-person basis. It’s simply a statistical, analytical reality for me based on my encounter with Hell. How can I stay silent even for a day if billions of unsaved people are going to Hell—not to mention many others in churches who are following Jesus in an unsaved condition? Paul said, “Follow me as I follow Christ.” Understand, as we follow Jesus, we are called to lead others in that procession—but it’s at the pace of Christ, not the pace of the followers. Seeker churches provide a “taste and see” environment for people to consider the ways of Jesus at a level that’s comfortable to them. We need churches that will stun the people and preach messages of urgency and radical consecration! Under Moses the Hebrews dictated the pace of their advance and they all died in the desert—all but Joshua and Caleb. Under Joshua’s leadership, there was precision, urgency and unity in the advance into the land of Promise. If we truly understood the urgency of the hour we would be shouting from the rooftops, calling people into immediate, radical surrender! Hell continues to grow larger and today many will begin their eternity there. It’s a horrifying, tragic reality and we cannot allow people under our leadership to be casual, disinterested, lukewarm and disengaged. I believe their blood will be on our hands as leaders if we don’t start preaching with fire and shocking the dead to life! This is such a huge point that I really want it to hit hard. True revival churches, with very limited exceptions, can expect to be very small in number. The goal of growing in number will almost immediately hijack the primary purpose of calling the remnant together for raging intercession, consecration and inconvenient instructions. I was personally set free many years ago when God told me to never consider the number of people in the church again, but rather to consider how obedient I am. How well do I allow the Holy Spirit to lead? It’s a very rare remnant that will gather together in the furnace that is being stoked, prodded and heated. Most people love to warm themselves by the fire but very few will actually lay across the fire and allow God to burn fully through them, to refine them and to cause them to blaze. We don’t need people who have the smell of fire on them, we need those who are burning. We must let God build his church with rare, remnant burning ones. God is ready to ignite his remnant bride. We must get ready for a raging furnace of prayer to burn in our churches again. It’s time. It’s past time. Most won’t be ready. Most weren’t ready for the Upper Room. The Upper Room wasn’t changed, programs weren’t added, the time there wasn’t shortened, the pace wasn’t easy, the cost was high. The pretenders had excuses and the remnant was surprised by supernatural power that turned the world upside down. Yes, we need Upper Room churches in America, and fast. King’s Chapel is our host Friday from 10pm until midnight! 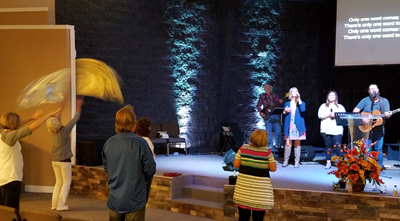 We continue our regional, corporate pursuit toward revival in the Ozarks FRIDAY at 10pm! We will be meeting at the Old Stone Church and will be praying with King’s Chapel and other people hungry for a move of God in our region. Forward this email, invite everybody you can, come hungry and let’s encounter God in an atmosphere of fire! See a map at www.prayerteam.tv/events. 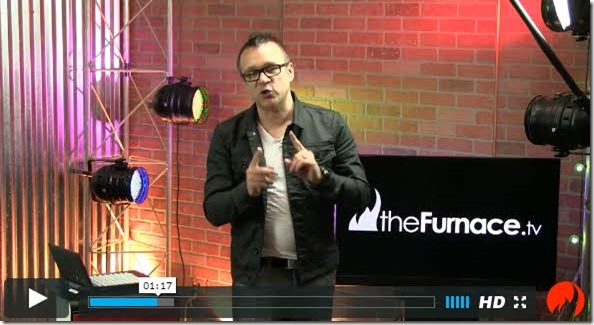 Watch a short info video, learn more about the vision and see the schedule for upcoming Monday evening revival events in Branson at www.thefurnace.tv/branson! Join us in Branson THIS WEDNESDAY for a night of glory, fire and training! Contact me at john@johnburton.net for directions. I can’t wait to see you Wednesday at 7pm! Assisted Suicide—This powerful dream was first shared in my book The Coming Church. I recently had a dream that really shines the light on the coming battle in the Church. As I’ve said, the Church is to be a House of Prayer. Any other dominant defining attributes than intercession dilute and compromise the Church’s mission. The Church isn’t to be a house of teaching, a house of friendships or a house of evangelism. It’s a House of Prayer, a place that facilitates a lifestyle of night and day intercession. We are all called to pray at that level, not just some mystical, elite group of prayer warriors. 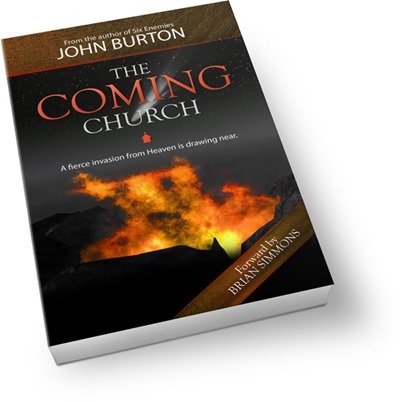 The coming Church will be a Church on fire. No longer will we gather around a fire to warm our flesh, but rather we’ll lay across it as burning ones who allow the Consuming Fire to do just that—consume us. As we pray and live on fire, much trouble will come. We will threaten those who don’t choose to pray, those who don’t see the need. There are already strategies and theologies that are opposing and assaulting the prayer movement, and my dream brings clarity to that reality. In the dream, I was walking up a dirt hill where my dad was. In the dream, my dad represented the prayer movement. 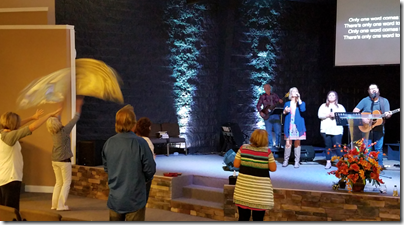 In the Branson, Missouri area he gave leadership to a significant regional prayer effort called the Uninterrupted Prayer Team (the UP Team). My dad was on the top of that dry, dirty hill for a very specific reason. He was going to be executed. It was a public execution. I was shocked at how passive my dad was. He was on a bed, like a hospital bed, and he was submitted to the demand that he die. I sensed that the forces were too strong for me to fight against them. He was to be executed, and there seemed to be nothing I could do about it. I asked my dad what in the world was going on. He was pleasant in his demeanor, and in fact, most of the people around him who were helping facilitate the public execution were casually going about their day, and they were good friends of my dad. They were “good Christians” who were focused on having a great day and did what they could to eradicate anything that would threaten that. I couldn’t believe it! The pressure of the Church as it opposes the prayer movement will be so great, that many will be overwhelmed and will lose hope that their mandate to pray will have impact. The prayer movement is at risk of agreeing with its own death! The Church today is threatened by the prayer movement, and it will do much to embrace the spirit of the age and execute the spirit of intercession. As the dream continued, I then left his side and walked down the dirt road in deep, troubling thought. I looked down and saw a lighter, that looked like it was broken. I picked it up and I understood that if I could only get it to light, the execution would be called off. If we pray, the fire of God will burn, and the opposing spirits will lose their strength. Believe me, this is a very real situation. Someone actually contacted me online recently and arrogantly told me that they and others in a local church were actually praying for a local house of prayer to close down—and it did close down. It’s absolutely stunning that supposed Christians can oppose prayer with such zeal that they actually pray against the prayer movement! I met with a House of Prayer network leader the other day who said that people leave churches when leaders shift time, energy and attention from them to God. I’ve watched that happen myself, and it rips me up! The coming Church will be marked by constant prayer, and there will be a divide along this line. If we don’t pray, I do believe it’s a serious issue with eternity hanging in the balance. If we truly know God, we will understand the desire and need to connect with him in prayer. And don’t you even think of using the excuse that you need to create a non-threatening environment for the new believer! Every person, young or old, immature or seasoned must be in the prayer room—and it must be their primary focus! What if the Upper Room were toned down in the hopes of drawing a bigger crowd and interested seekers? We must absolutely refuse to tone down the activity of the Holy Spirit out of respect of those less hungry! God is a consuming fire, and he is about to consume what is unholy and compromised. Who are we to presume we know better how to facilitate a service? Is inviting the Holy Spirit to step aside as we give preference to human wisdom the way to go? I’ve heard it said that the main Sunday service should be a toned-down meeting so as not to freak out visitors and seekers. Apparently the meeting where the Holy Spirit has liberty to move in freedom should be reserved for a night when there’s little risk of the unconverted showing up. This is humanistic religion at its best! Did those in the Upper Room tone down the Holy Spirit so as not to confuse and trouble the seekers in the city? Absolutely not! In fact, the power was so extreme and so unusual that the people were provoked to wonder and proclaim, “they must be drunk!” What was happening was off of their grid. When man moves, it’s naturally familiar. When God moves, it’s supernaturally shocking. Keep in mind, there’s always a spirit giving leadership in a service—the spirit of man, a demonic spirit or the Holy Spirit. I told God one day many years ago that if I responded to his extreme call to facilitate a white hot environment of prayer in our church I would lose my reputation. People would sever relationship with me and hurl accusations my way. One reason I’m OK with this divisive strategy (that Jesus affirmed above) is that it clearly reveals who’s for and who’s opposed. I’d rather make the message clear and know who I’m running with than to tone it down and have those who are opposed to it in our camp. So, we love and serve everybody in the camp, but we can’t get sidetracked from our mission for the sake of their comfort. Trust me, the resulting remnant of burning ones will rejoice at such an atmosphere of clarity and fire! Those who are lukewarm today just may awaken and burn tomorrow—if we have the courage to preach the very difficult, costly truth and call every person to the fire of continual prayer! People that are close to me do know my heart—and they know I’m broken before the Lord. My call is to aggressively sound alarms, gather people around the mission of revival and provoke people to pray night and day. It can’t be a soft spoken suggestion if we hope to awaken a great end-time army! Several years ago in Colorado, the Lord directed me very urgently to learn how to walk in extreme humility and extreme boldness at the same time. It was a full year of intense prayer and discovery—a personal school of the Holy Spirit. In that school, I learned much, including this—I was not to attempt to appear humble, I was to be humble. Why was this important? Because the Elijah-level boldness that is required to impact a region would often look like anything but humility. It would appear as arrogance and selfish ambition. I know the accusations will continue, but you need to know that, if you are bold, you will provoke. You must be OK with that! Love people deeply, hate the enemy powerfully and know there will be a crisis in the middle as God, people and demons step into the ring. Don’t wrestle against flesh and blood! Be innocent! But don’t presume a passive spirit is the same thing as a humble spirit. The assault against the prayer movement is extreme and we must advance against the spirit of the age with fire in our veins and tears in our eyes. 15 spots remain! 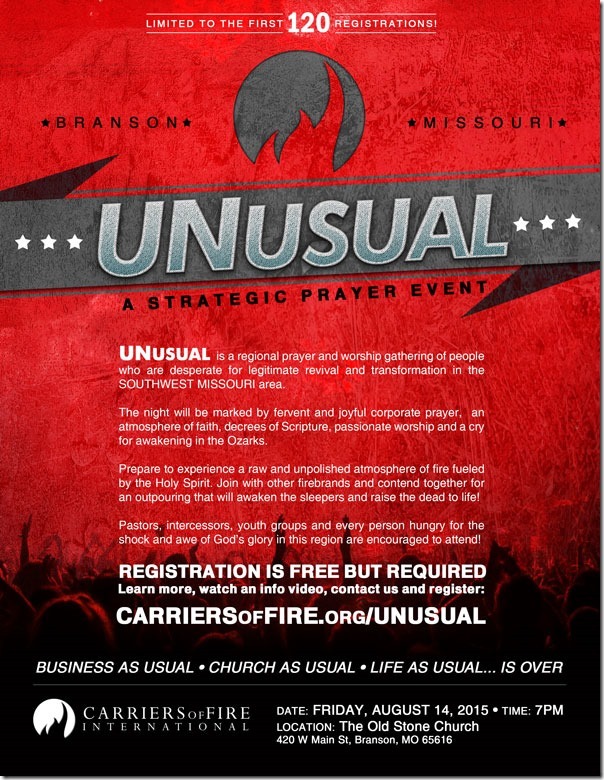 Burning ones are gathering together in Branson, Missouri TOMORROW, Friday, August 14th for a night of FIRE! Tomorrow is going to be a night to remember as we burn hot, contend for revival and encounter the LIVING GOD together in Branson! There are 15 spots left if you would like to register. We are limited to the first 120 registrations due to the venue size, so if you plan on attending you MUST register. The registration form will be removed when all spots are filled. Nearly 1/2 of the registrations are gone…register now for an UNUSUAL PRAYER EVENT. Have you registered? The UNUSUAL event is capped at 120 total people, and nearly ONE HALF are already taken! The remnant Bride is gathering together in Branson, Missouri for a night of FIRE in God’s radiant presence on Friday, August 14th, 2015 starting at 7pm. The night will be marked by a passionate, high energy and fervent atmosphere of praying in the Spirit, abandoned worship, piercing messages of awakening. You will be branded by fire and undone by the heart of God as he reveals his passions to you. From beginning to end the joy and the severity of God will be before us. In fact, it all begins an hour before the official start time as we light a raging fire of intercession in pre-service prayer. You SIMPLY CANNOT MISS this earth shaking event! REGISTER FOR THE UNUSUAL EVENT HERE TODAY! ALSO COMING SOON—PRAYER IN THE CAVE! 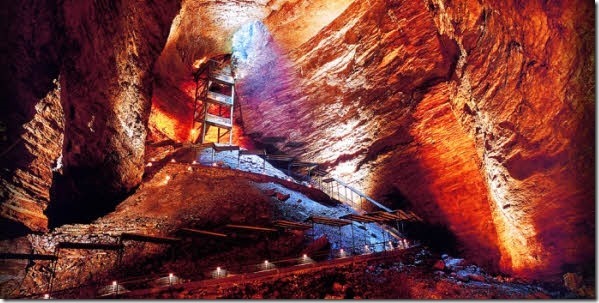 We are still working on securing the cave here in Branson, Missouri, but I wanted to alert you that it will be coming very soon—possibly the middle of July! We walk about 15 minutes down under the surface of the earth, turn out the lights and contend in perfect darkness for 4-5 hours in fervent prayer! You will discover how easy it is to encounter God, to hear his voice and to have a DRAMATICALLY SUCCESSFUL PRAYER LIFE! The prayer model we use is the 100% EFFECTIVE PRAYER MODEL based on my book Revelation Driven Prayer. You can’t register yet…BUT, PLEASE CONTACT ME and let me know that you want to come. I’ll alert you when the registration opens! Contact me directly at john@johnburton.net. ONLY 30 SPOTS FOR PRAYER IN THE CAVE ARE AVAILABLE…AND AT LEAST 1/2 OF THEM ARE SPOKEN FOR! IMPORTANT!! This message will be available for the next seven days, at which time the entire nine part series will be moved over to our MEDIA PARTNER subscription section. It will no longer be available in the free media section of the site. 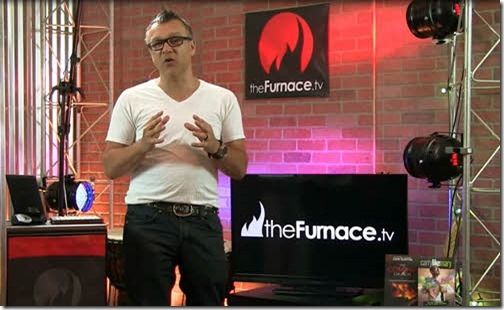 You can subscribe and enjoy all our our past teachings at www.thefurnace.tv/partner. This nine part series concludes with this message on the fourth fire-a personal fire. When we go through the intense process of discovering our own fire and intentionally fanning the flames, a great end time drama is set into motion. There are people who currently don't know God who have an earth shaking destiny on their lives. God is waiting for fire breathers to awaken and start a fire that consumes a city…so these world changers will be provoked to surrender their lives to Jesus. Arguments against a fiery church and a movement of prayer are already arising. Unbiblical theologies that oppose such a lifestyle are emerging, and the demand of the majority is to tone it down and to avoid an extreme life. In response to that, I refuse to tone down the activity of the Holy Spirit out of respect of those less hungry. Let the resisters resist. God's remnant will carry the fire of the Holy Spirit to the cities of the earth. WATCH OR LISTEN TO THIS POWERFUL MESSAGE FREE FOR THE NEXT SEVEN DAYS HERE!